Cloud services crash. Of course, non-cloud-services crash too — a server in your data center can go down, too. At least there you can do something, or if it’s a critical system you can plan with redundancies and failover. 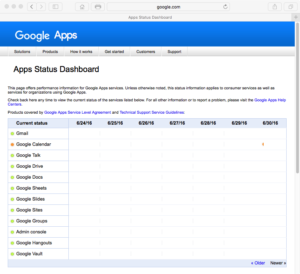 Not so much with cloud services, as this morning’s failure of Google Calendar clearly shows. 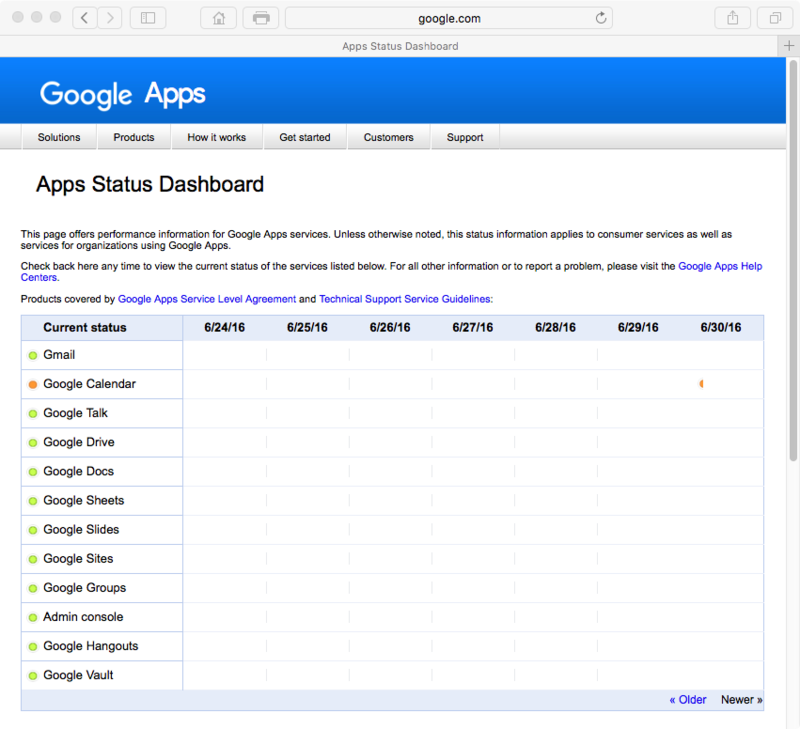 The photo shows Google’s status dashboard as of 6:53am on Thursday, June 30. Overall, cloud services are quite reliable. But they are not perfect, and it’s a mistake to think that just because they are offered by huge corporations, they will be error-free and offer 100% uptime. Be sure to work that into your plans, especially if you and your employees rely upon public cloud services to get your job done, or if your customers interact with you through cloud services.